If you’ve never had a kidney stone, count yourself lucky. “It’s a miserable experience, to be very honest with you,” Jamin V. Brahmbhatt, a urologist in Clermont, Florida, tells Allure. “I have female patients tell me it’s worse than childbirth.” What’s more, according to a recent study published in Mayo Clinic Proceedings, cases of kidney stones “increased dramatically” between 1984 and 2012. 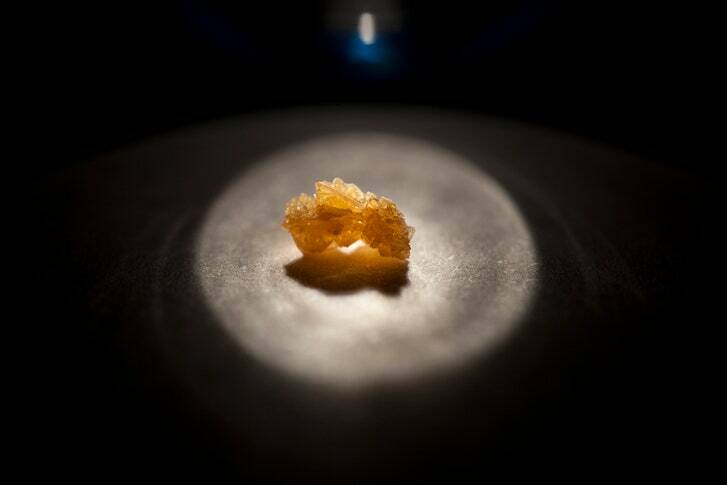 To help you figure out if you might be dealing with kidney stones — though I hope you never, ever do — we asked Brahmbhatt and New-York-City-based urologist Philip Zhao, who specializes in treating people who have complex stone disease, what signs and symptoms to watch out for, as well as what you need to know about treatment and prevention. Kidney stones are rock-hard mineral and salt deposits that form inside your kidneys and that may get stuck in the ureter and cause a blockage. Here’s a little refresher from anatomy class: Your kidneys are attached to your bladder by a small tube called the ureter. “Your ureter is two to three millimeters wide. If you have a stone that’s greater than that size of the ureter, it’s going to block things up and cause a lot of strain for your body,” Brahmbhatt explains. If the stones are small enough or stay confined to your kidney, they tend not to cause problems or pass painlessly on their own, Brahmbhatt says. It’s when larger stones start to move that they can be seriously problematic. When the ureter gets blocked by a stone, your kidney can’t push your urine down to your bladder. “The pain from kidney stones comes from the increased pressure” of urine buildup, Zhao says. This pain may start in the flank area and then transition down to your groin as a stone moves. You could also experience some urgency and frequency, and even blood in your urine: “Especially with the pain, [blood in your urine] could be a sign that the stone is transitioning and moving down the ureter,” Zhao says. For bigger or more persistent stones, there are surgical options. “We can go through the urethra with a laser and fragment the stone. If it’s really large, we can go through the kidney and extract it that way,” Brahmbhatt explains. Doctors can also use a procedure called extracorporeal shock wave lithotripsy(ESWL), a non-invasive technique that uses sound waves to break the stone into bits that can then pass through your system. How can I prevent kidney stones through what I eat and drink? Your goal is clear pee: The darker it is, the more dehydrated you are. On hot days or when a tough workout makes you more likely to be dehydrated, it’s important to drink even more water than usual. And if you’re thinking about going vegan or implementing another drastic change to how you eat, you may want to think twice if you have a history of kidney stones. That’s because overhauling your diet can mess with your ability to metabolize what you’re eating, which could make it harder for your body to prevent waste product buildup. “If you are at risk of kidney stones, you’ve got to talk to your doctor or dietician first” before embarking on a new diet, Brahmbhatt says.